We have a fun color challenge for you this week. I couldn't resist inking up the adorably fun Monster Sized stamp set for this challenge. This is such a fun set to work with! I stamped each of the images in Black Licorice Hybrid Ink and coloured them with Copics. 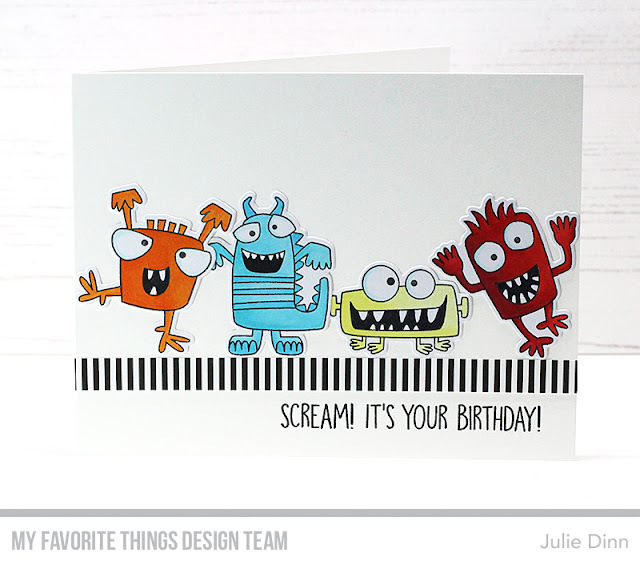 Be sure to check out the MFT Challenge Blog to see all the gorgeous creations the team has to share with you today.